So far, I like what I see. 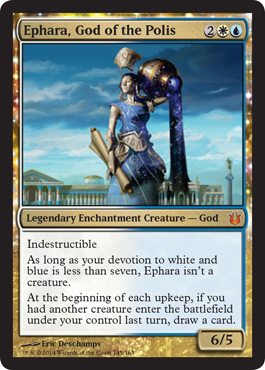 Ephara gets you to draw cards if you play creatures, Mogis deals damage to opponents unless they sacrifice creatures, Xenagos increases power and toughness of a creature dependent on attacking, and then Karametra gets you basic lands and shock lands. Pretty good, if you ask me. Can't wait to see Phenax. Removal for tokens and multiple creatures on the field. 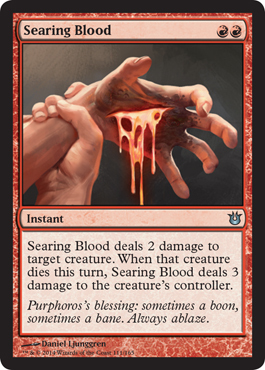 Pretty awesome, especially for a two-drop. I already love this one. You combine the awesomeness of a Lightning Bolt with a Shock only for the cost of a Searing Spear. 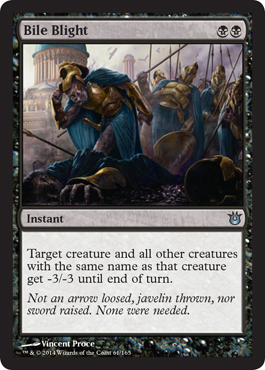 Of course, the damage is bound to where it can be directed, but you take out a creature and hit your opponent for a nice amount. 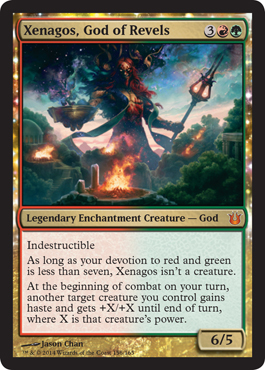 Don't get me wrong, I'd love a Lightning Bolt since we have the whole Grecko-Roman thing going (Zeus with his bolts and all), but I'll settle for this. 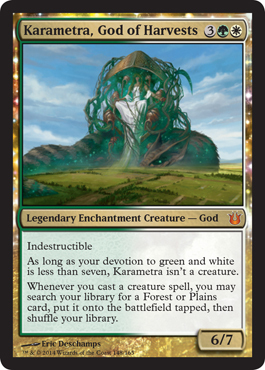 And, as always, check out the spoiler page to see all the latest cards. The published content and design/layout of this site is Copyright 2013-2015 by Monday Morning MTG. Powered by Blogger. 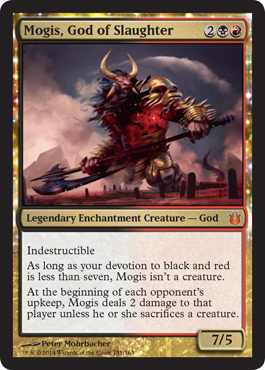 The card images, names, and artwork are copyrighted by Wizards of the Coast. This website is not produced, endorsed, supported, or affiliated with Wizards of the Coast.